32 Commercial Real Estate & Properties in Kunda Park are listed in 6 categories. We have 25 Industrial Warehouses Sale & Lease , 3 Development LandsSale & Lease , 3 Retail ShopsSale & Lease , 1 OfficesSale & Lease , 1 Other Commercial PropertiesSale & Lease and 1 ShowroomsSale & Lease . Unique opportunity to walk straight into this Kunda Park property and run your business. Multiple offices, warehouse / storage, boardroom and kitchenette and fully fitted out with built in cupboards and desks. The unit, one of a complex of three, has a high clearance roller door and a sturdy racking system. + 172sq m ground floor with 162sq m mezzanine (sizes approx) + 40sq m (approx) showroom at entrance + Multiple offices, 70sq m (approx) warehouse / storage with racking system + Fully fitted out, carpeted offices and showroom, complete with quality built in cupboards and desks + Timber vinyl plank flooring in work area, tiled hallways + Fully air conditioned with large boardroom and kitchenette Call or email David Smith or Tallon Pamenter to inspect the property or find out about other suitable options. Our team is strategically located in two offices across the Sunshine Coast region and is ready to handle your commercial, industrial and retail property needs today so call or email now. 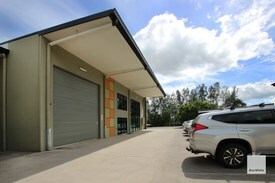 Compact, High Clearance, Clean Tidy Industrial Shed | Kunda Park $325,000 + GST (if applic..
159m2 ground floor, open plan warehouse 25m2 air conditioned office/mezzanine High clearance roller door personal access door 3 exclusive car parks Low outgoings (body corporate, rates water) Internal amenities Located in the heart of Kunda Park, just off Maroochydore Road with easy access to Sunshine Motorway Bruce Highway Currently being used for storage, owners happy to relocate when required Excellent value for an owner occupier looking to get out of paying someone else rent and into their own shed Huge amount of tenant enquiry so also a great little entry level investment opportunity This clean tidy industrial unit is situated in the well established industrial estate of Kunda Park. The property has easy access to Maroochydore Road, the CBD, Sunshine Coast Airport, Sunshine Motorway Bruce Highway. It boasts a high clearance roller door ceilings, internal amenities, bonus mezzanine. The opportunities for this property are endless and it wont last long with sheds under high demand in the Kunda Park region. Contact exclusive marketing agent Emily Pendleton for further information or to arrange an inspection. 637m2 Land Area 272m2 GFA + hardstand (approx. 350m2) Additional mezzanine (approx. 40m2) Freestanding, high clearance warehouse Low outgoings, no body corporate High clearance roller door Off street car parking Separate shower toilet This freestanding industrial warehouse is situated in the well established industrial estate of Kunda Park. Situated on a 637m2 block with approx. 272m2 of building + hardstand has easy access to Maroochydore Road, the CBD, Sunshine Coast Airport, Sunshine Motorway Bruce Highway. It boasts a high clearance roller door ceilings, under cover hardstand, internal shower toilet, fitted out office/mezzanine. The opportunities for this property are endless and it wont last long with sheds under high demand in the Kunda Park region. Contact exclusive marketing agents to arrange your inspection today. 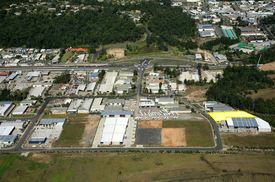 Price Reduced For Fast Sale $483,000 + GST (if applic..
Land Area Lot 1, 3,424m2 Building Area Lot 1, 2,016m2 Hardstand attached Cold rooms freezers Grease trap connections Toilet facilities Ample onsite car parking High exposure to Maroochydore Road Excellent signage opportunities Contact exclusive marketing agents to arrange your inspection today. 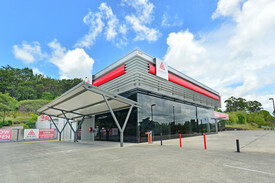 278m2 Rental return secured until November 2019, but tenant happy to move out earlier Tenanted to Woolworths until November 2019 Currently returning $31,285.80 P/A Net with 100% outgoings paid by tenant Clean and tidy concrete slab unit Full height roller (4.2m2 approx. high) and personal door Easy access for trucks Two exclusive use car parks Internal toilet and kitchenette amenities Security alarm system installed Situated at the rear of a small complex This clean tidy industrial unit is situated in the well established industrial estate of Kunda Park. The property has easy access to Maroochydore Road, the CBD, Sunshine Coast Airport, Sunshine Motorway Bruce Highway. It boasts three phase power, high clearance roller door ceilings, internal toilet and installed security alarm system. The opportunities for this property are endless and it won't last long with sheds under high demand in the Kunda Park region. Contact Exclusive Marketing Agents Emily Pendleton or Michael Shadforth to arrange your inspection today. 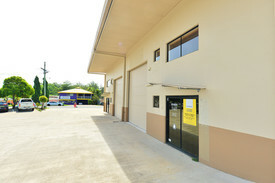 Freestanding, high clearance warehouse Low outgoings, no body corporate 637m2 Land Area 272m2 GFA + hardstand (approx. 350m2) Additional mezzanine (approx. 40m2) High clearance roller door Off street car parking Separate shower toilet This freestanding industrial warehouse is situated in the well established industrial estate of Kunda Park. Situated on a 637m2 block with approx. 272m2 of building + hardstand has easy access to Maroochydore Road, the CBD, Sunshine Coast Airport, Sunshine Motorway Bruce Highway. It boasts a high clearance roller door ceilings, under cover hardstand, internal shower toilet, fitted out office/mezzanine. The opportunities for this property are endless and it wont last long with sheds under high demand in the Kunda Park region. Contact exclusive marketing agent Emily Pendleton to arrange your inspection today. This property represents one of the largest and most under utilised sites in Kunda Park. The block provides for a range of income producing capabilities with significant future development potential (STCA). With a range of industrial units, freestanding sheds, ancillary leases and hardstand sites the property is packed with opportunity. Currently tenanted for $145,074.12 p.a. 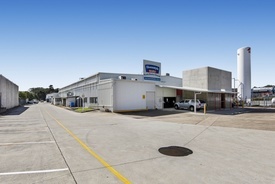 Under 10% site coverage Premium industrial precinct close to Bruce Highway Sunshine Motorway Unique ability to retain income and stage future development (STCA) Please contact our exclusive marketing agents for further information or to arrange your inspection. PRICE REDUCED TO $25,000 P/A ($90/m2) 278m2 Clean and tidy concrete slab unit Full height roller (4.2m2 approx. high) personal door Easy access for trucks Two exclusive use car parks Internal toilet kitchenette amenities Security alarm system installed Situated at the rear of a small complex This clean tidy industrial unit is situated in the well established industrial estate of Kunda Park. The property has easy access to Maroochydore Road, the CBD, Sunshine Coast Airport, Sunshine Motorway Bruce Highway. It boasts three phase power, high clearance roller door ceilings, internal toilet and installed security alarm system. The opportunities for this property are endless and it won't last long with sheds under high demand in the Kunda Park region. Contact our Marketing Agent Emily Pendleton to arrange your inspection today. Compact Industrial Shed | Available Vacant Possession | Kunda Park $300,000 + GST (if applic..
166m2 open plan warehouse High clearance roller door 3 phase power Kitchenette and toilet facilities Ample onsite car parking Fitted out with small office/reception Storage mezzanine Centrally located and close to Sunshine Motorway and 10 minutes to Bruce Highway For Sale for $300,000 + GST (if applicable) Contact exclusive marketing agents Emily Pendleton or Michael Shadforth to arrange your inspection today. Steel clad warehouse area: 229m2 Air conditioned office area: 59m2 Total 288m2 Onsite car parking available Zoning: Medium Impact Industry 3 phase power Sales yard 600m2 also available by negotiation Lease price $46,560.00 Net Contact our marketing agent Michael Shadforth for more information or to arrange an inspection today.